Follow our step-by-step, photo illustrated recipe for making this quick and easy party dip. Bacon just makes everything better, and like a BLT Sandwich, you’ll just want more. Serve it with your favorite chips, crackers, or carrot and celery sticks. Printable recipe included. I’m a big fan of a Bacon-Lettuce-Tomato Sandwich, better known as a BLT. How about you? We’ve got a fast food place here where I live that has .99cent BLT Sandwiches on their menu. Sadly, it’s all on a hamburger bun as opposed to white bread, but for one dollar, it’s not a bad deal. I’ve been known to pick up a couple late night and have them for breakfast the next morning. And, they actually place about three strips of bacon on each one. Not a bad deal in my opinion. 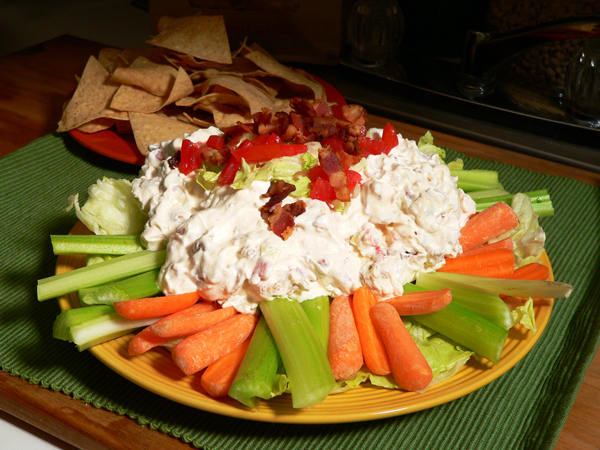 Recently, I saw mention in some of my readings online about something called Country BLT Dip. It caught my attention. Looking into it, I found a good number of recipes, and thought it would make a great recipe for posting here on Taste of Southern. I hope you’ll like it. One thing you might find different with this one is I actually place some lettuce in the dip itself. Most of the recipes I found elsewhere didn’t do that. They do however use lettuce as garnishment along with the dip, so I guess that’s what makes it a bacon, lettuce, and tomato dip. From Baby Showers to Birthday Parties, Football games to New Years celebrations, I think you’ll really enjoy this quick and easy recipe. Cooking the bacon is the only thing that takes a little time to make this, so do that while you’re chopping up the lettuce and tomato. It does need to be refrigerated for at least an hour before serving, but I found that it tasted even better the next day, so keep that in mind when planning yours. Ready to give our version of Country BLT a try? Alright then, grab some chips and lets get in the kitchen. In other words… Let’s Get Cooking! 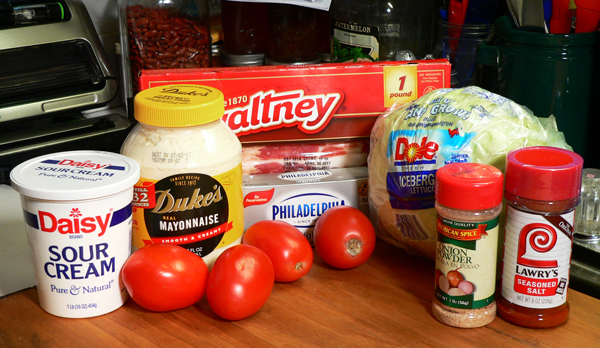 Country BLT Dip recipe: You’ll need these ingredients. 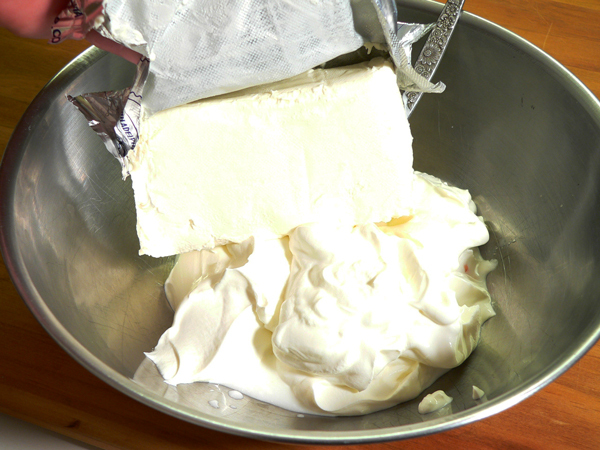 Before you start this recipe, you’ll need to let the cream cheese soften to about room temperature for easier mixing. It will also help to place the bacon in your freezer for about 30 minutes because we’re going to slice it into small pieces later on. Getting it good and cold prior to that will help a lot. 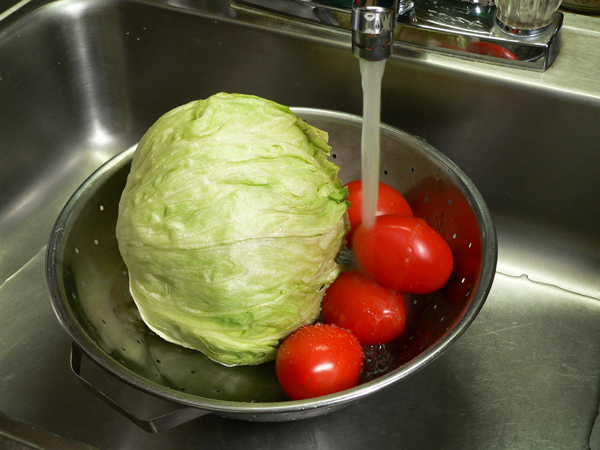 Rinse the lettuce and tomatoes under some cool running water. Remove the seeds from the tomatoes. 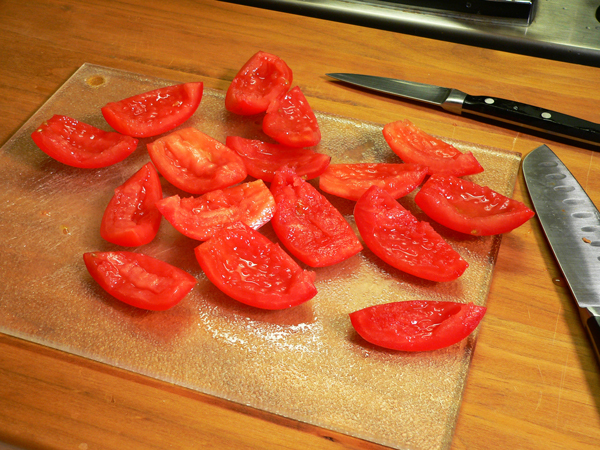 I sliced these Roma Tomatoes in half lengthwise, then quartered them. Using a small paring knife, I cut out the core of the tomatoes with the seeds. Reserve just a few of the tomatoes for garnish later on. You’ll also want to do the same with a little of the lettuce and the bacon. 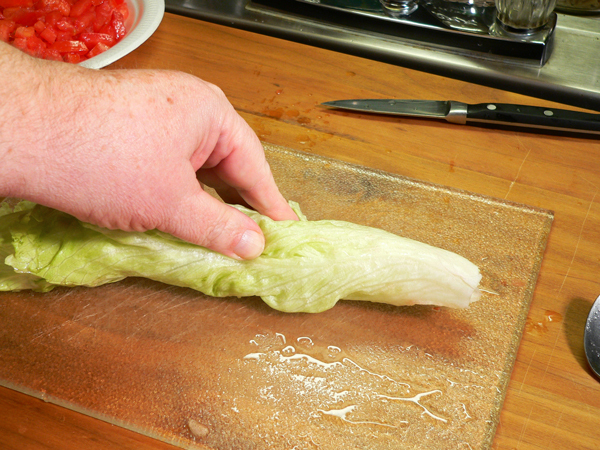 Remove a couple of the lettuce leaves. Roll the leaves up together. 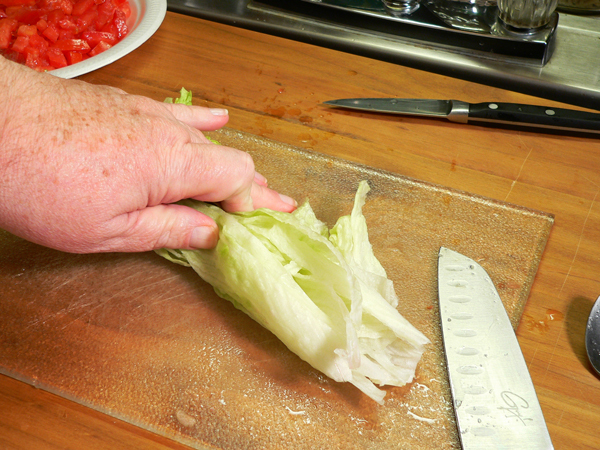 Slice the rolled up leaves lengthwise, then turn it and slice it again… into quarters. 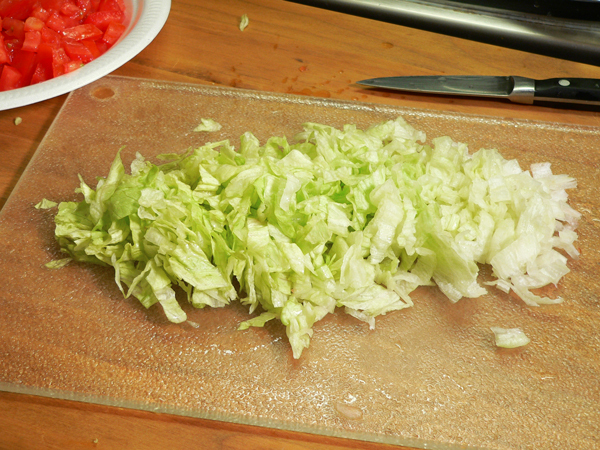 Starting at one end, slice the lettuce roll into small pieces. 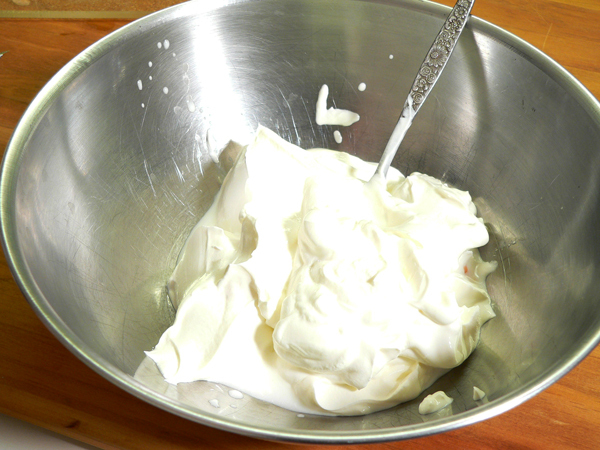 Pull out a large mixing bowl, and add the sour cream. 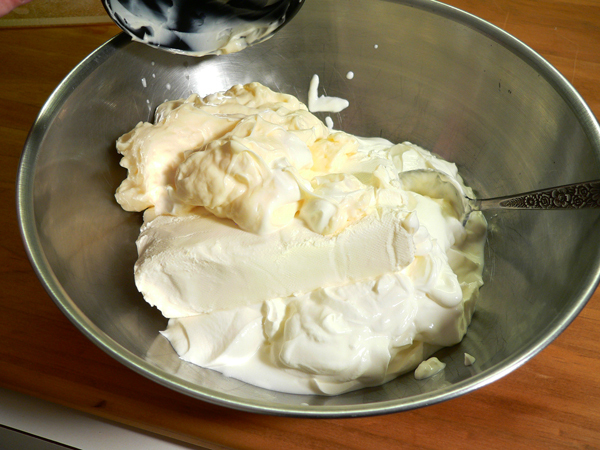 Add the softened cream cheese. Add the mayonnaise. Dukes of course… if you’ve got it. Dukes doesn’t pay me to say that, I’ve just always loved my Duke’s Mayonnaise. Add the Lawry’s Seasoning Salt. Give it a gentle stir to combine all the ingredients thus far. Slice the bacon into about 1/2 inch strips. As mentioned, the bacon will be easier to cut if you place the package in your freezer for about 30 minutes prior to doing this part. Remove it from the package, bunch it up together, then carefully slice it into sections with a good sharp knife. Remember, dull knives are the most dangerous, you should always work with a good sharp knife in the kitchen. Place a skillet over medium heat on your stove top. Add the bacon. Brown the bacon until good and crispy. This took me about 20 minutes over heat just a notch below medium. 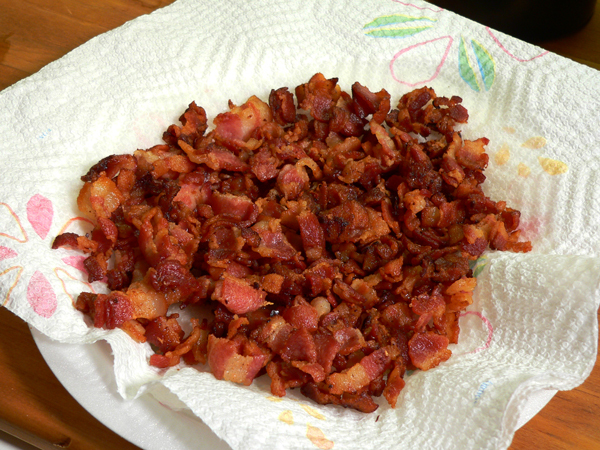 Using a slotted spoon, remove the cooked bacon and place it on a paper towel lined plate. Let it cool and drain. Be sure to save that leftover bacon grease. Store it in a container inside your refrigerator. It’s great for seasoning lots of vegetables in future recipes. Add the tomatoes to the dip mixture. This is where my version of this recipe differs from most others that I’ve seen. They don’t add any lettuce into the dip itself. 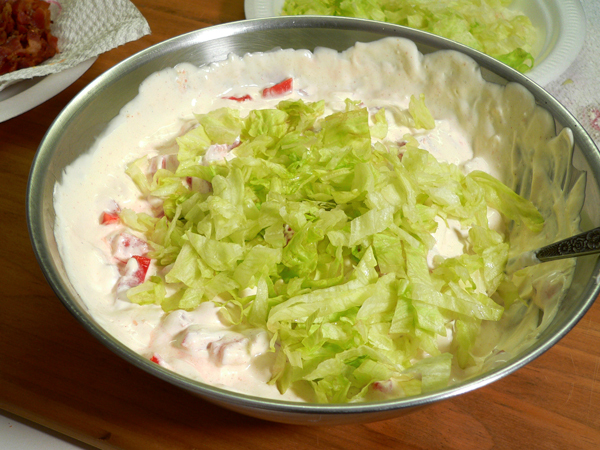 It’s called BLT Dip… it needs lettuce. Right? Spinach Dip has spinach in it, so you would think a recipe called BLT would include some lettuce. Am I right on this? Just go ahead and add a big handful of the lettuce. It’ll be alright. Resist the temptation to nibble on the bacon while you’re working on the recipe. Okay, maybe removing one little piece will not be noticed. Just saying. Gently stir everything together until it’s well combined. I know you’re going to taste it. I had too. But, I’d advise you not to add any more seasoning salt or onion powder at this point. We’re going to refrigerate it and let it sit for awhile so all the flavors can meld together. After that, you can add anything else you might think it needs. As a note, I did add a little more seasoning salt to mine, but it didn’t take much. 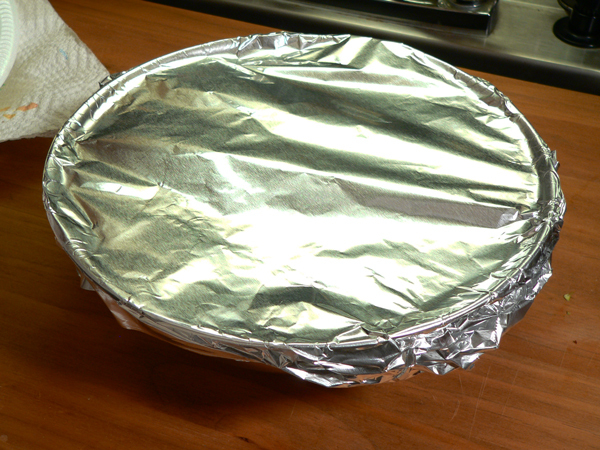 Cover the dip and place it in your refrigerator for at least one hour prior to serving. It’s even better, I think, if you make it a day ahead of time so it can have even more time to develop a stronger bacon flavor. That is… if you can wait that long. Place the dip in a bowl and provide your family and friends with lots of options for dipping. Celery sticks, carrot sticks, crackers, chips, they’re all good choices. Sprinkle a bit of the reserved tomatoes, bacon and lettuce on top prior to serving for decoration. I hope you enjoy it and I’d love to hear your comments in the section below. Rinse the tomatoes and lettuce. Drain. 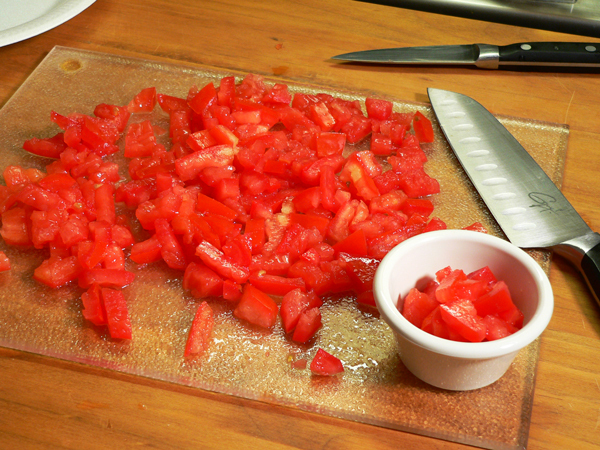 Slice tomatoes, remove seeds, dice into small pieces. 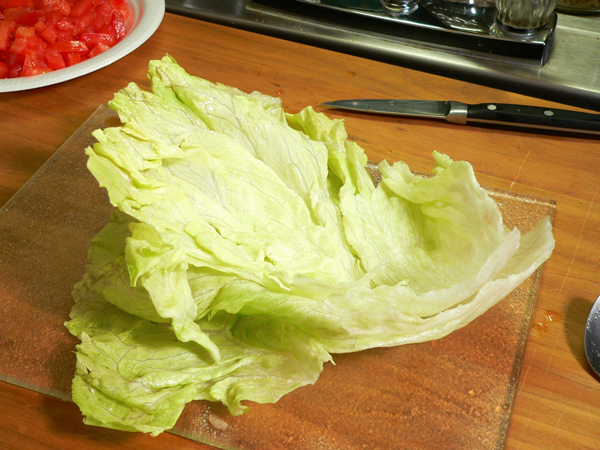 Remove a few outer leaves from lettuce. Roll, slice lengthwise. Chop finely. 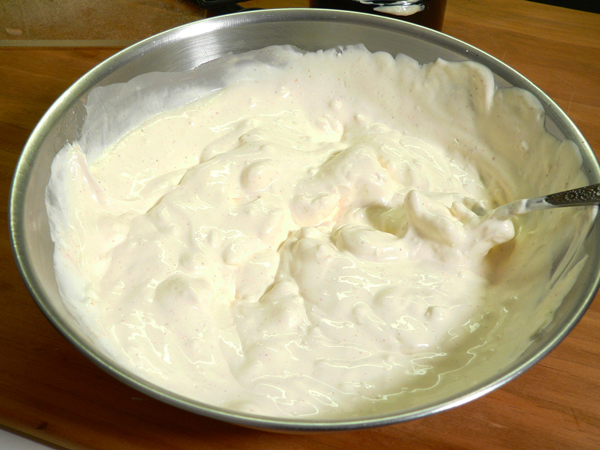 Place mayonnaise in a large mixing bowl. Stir gently to combine all the ingredients thus far. 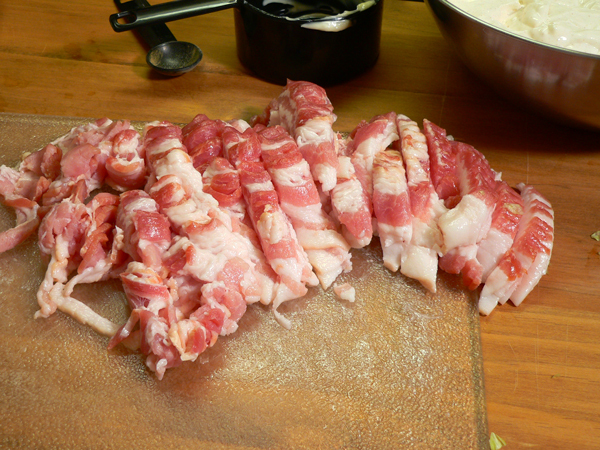 Slice the chilled bacon into about ½ inch strips. 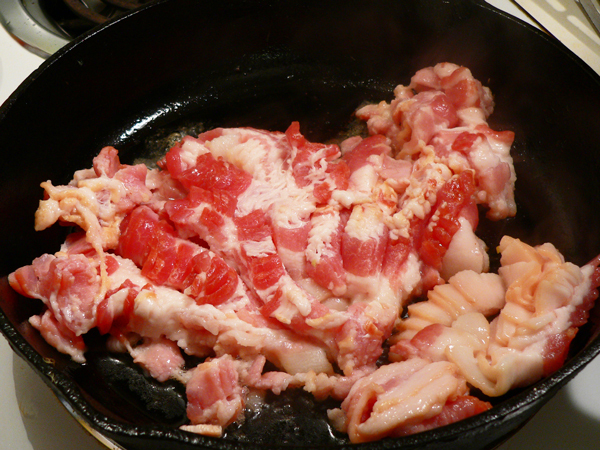 Place bacon in a skillet, over medium heat, fry until crispy. 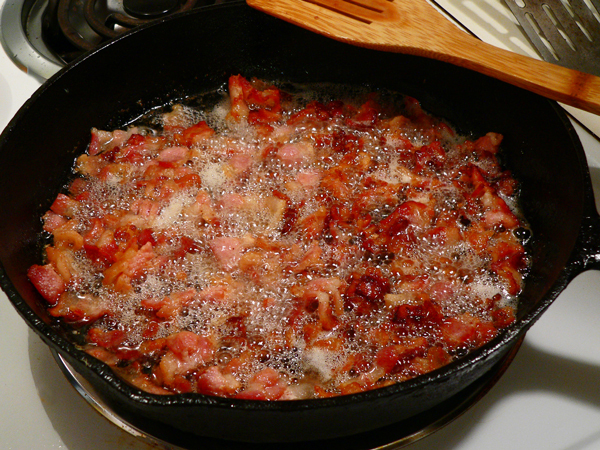 Remove bacon bits from skillet, place on paper towel lined plate to drain. Be sure to save your bacon grease for seasoning in future recipes. Stir well with a large spoon until fully combined. Garnish as desired with reserved tomato, bacon bits, lettuce. Serve with celery or carrot sticks, or your favorite chips. For best results, soften the cream cheese prior to use. Also, placing the bacon in your freezer prior to trying to slice it will make the process a whole lot easier. 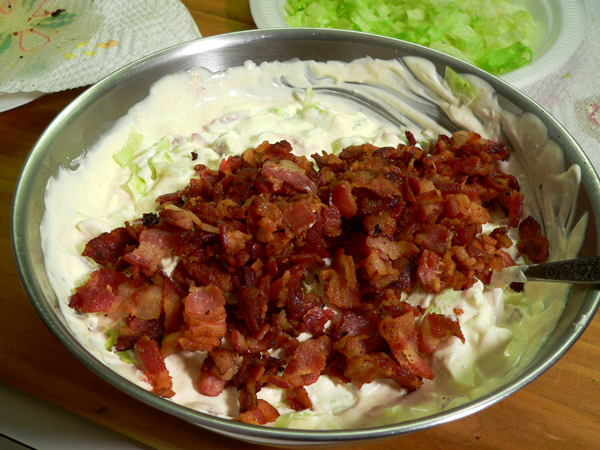 Your Comments: Ever tried, or will you be trying, our Country BLT Dip recipe? Or, share with me your go-to dip or appetizer for the special events at your home. It will only take a minute or two for you to leave your comments in the section below. I’d love to hear your comments. We like the simple dip of a block of cream cheese, cocktail sauce and can of crab meat. Also like boiled/steamed shrimp as an appetizer. Guess we just like anything seafood lol. Really enjoy Taste of Southern, keep up the good work. I usually go with a warm spinach and artichoke dip or a warm cheese dip. Adding your BLT dip to the line up sounds like a perfect option as well. Thank you for sharing and for the excellent work you do keeping us updated with the newsletters. Really enjoy reading them. I always enjoy your letters and reading your recipes.Keep up the good work.This BLT Dip sounds mighty tasty.My favorite dip Tostitos Salsa Con Queso(Medium)and chips. P.S. I enjoy the photos you post of the places you shop, and visit too. Hi Steve! Looks like another great recipe! I’ve never heard of BLT dip. I guess our go-to recipe would be my daughter’s homemade salsa and tortilla chips. Favorite appetizer, a sliver of Italian ham smeared with cream cheese rolled around a wedge of dill pickle. How easy is that? I haven’t seen BLT Dip in forever-not even a picture! Brings back some delicious memories – thank you. At our house the go to is Nachos with Salsa and Guacamole. Rotel cheese dip and creamy salsa dip are my quick go to’s. Chopped onions, bell peppers, ground beef or sausage, Velveeta, and cheeses in the crock pot, for the Rotel dip. 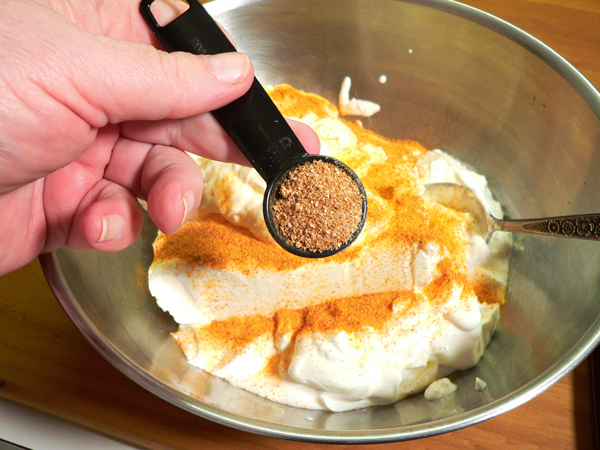 Cream cheese, and a jar of pace picante, whipped with a hand mixer, for the creamy salsa dip. I serve both with tortilla chips. I usually buy mine from Uncle Julio’s or Chuy’s. Hi from Houston my home city! No super bowl tickets but plan to watch from home with a small spread of snacks. My favorite dip is con quest dip with jalapeno poppers, chips, flauntas and quesadillas. But since I have southern roots we are also having Texas caviar, fried chicken bites and TX toast with pepper cream gravy and meatballs with spicy BBQ sauce. We are also having Philly cheese steak bites and Texas chili For dessert there will be mini football brownies. I don’t think anyone will leave hungry. We love smoked salmon, but it can be expensive for a crowd. I take a large can of salmon, drained, skinned and deboned, 8 ounces of softened cream cheese, dried dill, and liquid smoke to taste. Mix and refrigerate, preferably the day before. Take out of the fridge and bring to room temperature before serving. I don’t have to worry about saving leftovers. I always love French Dip with chips for the Super Bowl. Also a good Pizza is nice. Smoked salmon dip is one of my favorites. Looking forward to trying your BLT dip. Anything with bacon is good! I make my favorite a hot onion cheese dip. It’s always a big hit !! Looks great! Love to see real mayonnaise being used! Our go to dip is quick, easy and good. I call it mud dip. Two cups of left over chilli or a can of your favorite chilli and one block of cream cheese. Cook in the microwave for a minute and a half. Add 1/4 teaspoon of pepper 1/4 teaspoon of paprika and a 1/4 teaspoon of chilly powder. Mix it really good, cook for another two minutes. Sprinkle shredded cheddar over the top and start dunking the tortillas or pigs in a blanket or crackers or whatever you might have. Love your site! It takes me back home from the rat race! Have a blessed day and see ya next month. How about sharing that Chicken Pastry recipe, that you got to sample at the church, made my mouth salivate just looking at it. 7 layer dip is my staple when company is expected. the recipe for the chicken pastry is on Steve’s website, it looks absolutely like comfort food to me! Check it out undr Main Dishes, Chicken. I am going to give it a try. Using a small crockpot, add the chunked cheese and melt, stirring occasionally. When cheese is melted, add in the crab and Tabasco, stirring gently. Serve with tortilla chips. I also like celery sticks and cucumber slices. This dip is fabulous served on tomato slices! Enjoy, there won’t be anything left! 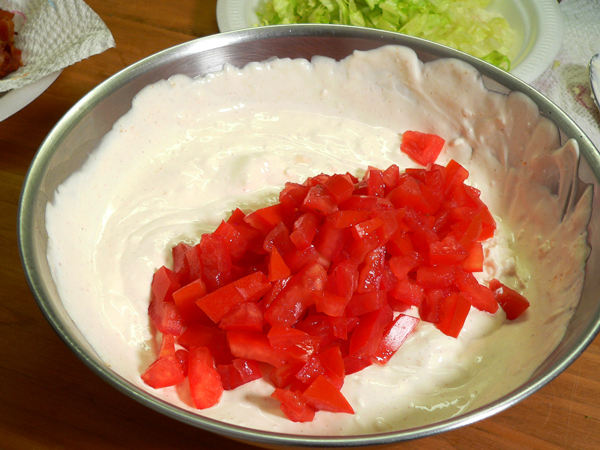 One of my favorite dips that I started at our favorite Mexican restaurant is to order a side of sour cream and pour their fresh chunky salsa into it and mix it all up. I’ve gotten some funny looks from busboys! Now I make it at home too when my husband makes homemade salsa and fries fresh tortilla chips. one of my favorite’s is homemade tomato salsa with homemade tortilla chips; also in the summertime I make a lot of my black bean/fresh corn, tomatoes, green onions, peppers, etc.salsa…almost a meal in itself! My go-to dip is spinach dip made with Knorr Vegetable Soup mix served in a Hawaiian bread bowl. I make that anytime I have an event. We’ll be having small shrimp cocktails…great appetizer that’s not too expensive! Homemade ranch dip is my favorite. Goes with any type of chip or veggie. My go to dip is spicy ranch. Easy cheese ball made with cream cheese, dry ranch dressing mix and chopped dried beef. Serve with crackers. Love bacon, one I have done that went over really great, is to take cherry tomatoes, cut the top off, scoop out the insides, cook bacon, chop it up, chop up the scooped out insides, mix with mayonnaise and stuff the cherry tomatoes. Really tasty. Our favorite is bacon, horseradish, and shredded cheddar mixed in a sour cream base. Favorite appetizer is jalapeno poppers made in won ton wrappers. Yum. One of our favorite appetizers is guacamole dip and homemade salsa mixed together with chips. 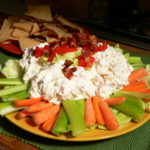 Try the Cobb Dip with Bacon and Blue Chesse crumbles.. Add corn and Roma tomatoes, sour cream, cream cheese and a Pgk of Hidden Valley’s Ranch Dressings serve on bed of Romain Lettuce and let the games began!!!!! My favorite dip is Seven-Layer Fiesta Dip which I serve with crudites (to help the health-conscious guests feel not so guilty indulging) and also with tortilla chips for the rest of the gang. It works well with both options. I like making a vegetable Pizza for an appetizer, my family loves them. Our favorite dip is fresh hot country sausage (cooked and drained) velvetta and Rotel. Served with an assortment of chips. My favorite recipe for the Super Bowl will be ‘Pigs in a Blanket’. I make these with Cocktail Sausages wrapped in 4″ triangle slices of pie dough. I then bake them in a 375o oven for 15 to 20 minutes or until the dough blanket is brown. Hormel chili heated through with cubed or shredded Velveeta; served with tortilla chips. For something quick and easy to make, my wife and I like the Queso Dip made with Velveeta and Ro*Tel. The spicy buffalo chicken dip is a favorite as well. Dried beef cheeseball with crackers. Rotel cheese dip with ground beef is our favorite appetizer! So easy and so good! 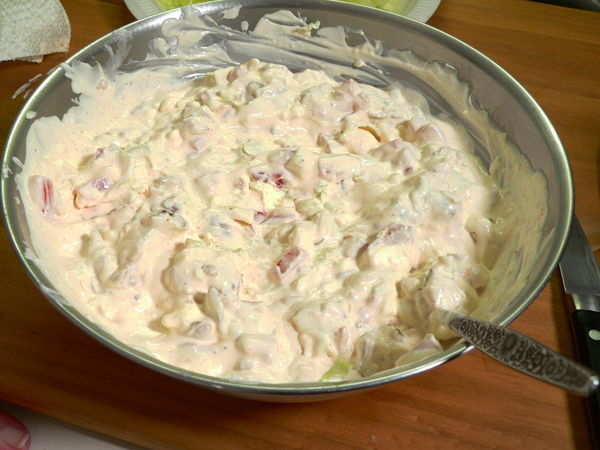 My favorite dip to serve at parties is Kefir Ranch Dip. It is delicious and everyone seems to love it!! My favorite Appetizer to make is Grilled Marinated Bacon Wrapped Venison. We love our spicy cheese and crab dip with or. Chips! I love boudin balls, wings and I make an onion dip and add a little liquid smoke and chopped crispy bacon, it’s delicious. I love reading your news letters. Thank you and God Bless! Crockpot Little Smokies sausages in our favorite BBQ sauce. Old fashion but so good. My favorite go to dip is a block of softened cream cheese smothered in pick-a-peppa sauce. MY FAVORITE APPETIZER IS, TAKE A COUPLE CANS OF WHOLE WATER CHESTNUTS, DRAIN AND DRY. THEN TAKE, 1/2 ROOM TEMP BACON SLICE, AND WRAP CHESTNUT WITH IT AND HOLD IN PLACE WITH A TOOTHPICK. WHEN YOU HAVE THEM ALL WRAPPED PLACE IN A DEEP COOKIE SHEET. MIX CATSUP, BROWN SUGAR, A LITTLE SMOKE FLAVOR, COAT BACON AND CHESTNUT, BAKE IN 375* OVEN ABOUT 20 MIN UNTIL BACON IS CRISPY. DO NOT LET CATSUP MIXTURE GET ON TOOTHPICK OR YOU WILL HAVE A HOT STICKY MESS, ON YOUR FINGERS WHEN YOU TRY TO EAT. This is not an unusual appetizer but it is quick and most people like it. Rotel dip with corn chips is the favorite for game day at our house. Love cold spinach dip and hot artichoke dip. Depends on the weather outside. Thanks, Steve, for all your wonderful recipes and encouraging words. Love your blog! The favorite dip in this household is a hot and cheesy spinach and artichoke dip with chopped water chestnuts. The BLT dip looks like something I can sell the guys on. How can I go wrong with bacon! Look forward to trying it. Can’t wait to try this one. Sounds yummy. Think I’ll be having me a BLT sandwich for lunch today. My favorite appetizer is Fried Chicken Won Tons. A gal I used to work with from the Philippine Islands taught me how to make these tasty little finger foods, which are stuffed full of chicken and deep fried. We fill a punch bowl with them and they are gone in about 20 minutes. My go-to dip is spinach dip. It’s good when someone makes it homemade but I also like it right off the grocery store shelf. Sounds yummy,love trying new recipes. This dip looks good. I have a favorite dip that is quick to throw together. Softened cream cheese, a tad of milk, and grated onion to taste (at least 1 t). It’s great at room temperature with chips or Fritos. Very simple and delicious. Hey Steve ! Yum yum yum ! Can’t wait to try your dip ! Love your recipes, travels, and newsletter ! Our fav dip is to fry up a lb of mild (crumbled) sausage, drain well.. add 1 block of cream cheese and a can of RoTel, stir well, and serve warm. Frito scoops or tortilla chips, and no leftovers ! Happy New Year everyone! 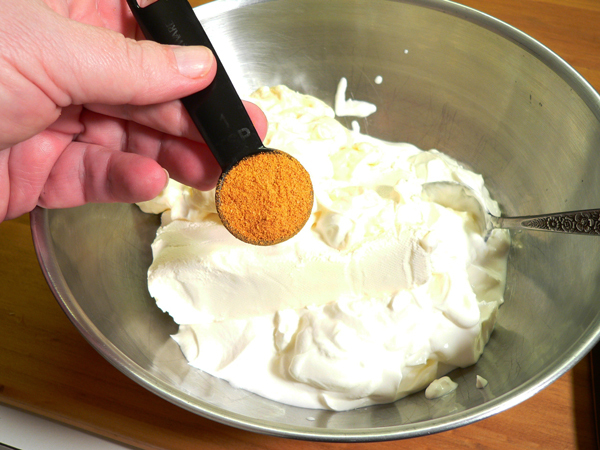 Holy cow, three of my favorite things in one dip: Duke’s mayo, cream cheese and sour cream. And the bacon is just the cherry on top. I think this may be my new favorite dip. 🙂 Before reading this, my go-to dip was spinach artichoke. Hi Steve—Your dip sounds wonderful-(BACON–Who can go wrong??? )–My favorite appetizer is—HAM CHEESE BALL- 2–(8 oz pkg)–cream cheese(softened)–5-6–(2 oz pkg)–Budding Honey Ham–chopped in food processor–about 3-4 “green” onions–(the whole onion) chopped in food processor—I like to chop the ham and onions separately.—Put all this in a bowl and add a “good dash” of worcestershire sauce–Mix all together and roll into a ball…Garnish with some of the (green part) of the “cut up” onion. Refrigerator overnight…. *Add onion + or – to your taste*—-I have also made this and added chunk crab meat in place of the ham….Try it and ENJOY!!!!! FYI—the 2 oz.ham is .49 cent at Wal Mart. I love to make my Reuben Dip. I serve it hot in a crock pot and it has chopped corned beef, sauerkraut, Swiss cheese, and thousand island dressing. I serve it with mini cocktail rye bread dippers and it’s delicious! It’s always a hit! I think I’ll serve it for the game and will make this BLT dip as well. Looks like it’ll be my new favorite! Yum! This dip looks so good….love a good dip. Pinned. Sausage balls are also a favorite at our house. Thanks for sharing. Our family go to is the Kickin’ Chickin’ Dip my daughter has mastered! She’s not even allowed to enter the house without it! Love this girl AND her dip!!!!! My favorite go to is a beef chili-cheese dip. Served either with Fritos or tortilla scoops. This recipe looks really great to try. Although I’m not into sports and all that to each their own, but I’m really interested in trying this in the near future. Thanks for your emails and the wonderful recipes as well. Spinach Parmesan dip is one of my favorite, but will be trying this BLT for this Super bowl Sunday..thanks for another great recipe. Our favorite dip is Buffalo Chicken Dip served with celery sticks and Frito Scoops. I do love a good dip. This one looks really good to me. To make it a favorite dip, I would add Horseradish. Horseradish dips are my favorite dips. This recipe looks great! Thanks so much. I guess my favorite dip to share at parties is homemade salsa. I grow my own peppers and add lots of lime juice and cilantro. There’s usually none left to take back home. our favorite appetizer is pigs in a blanket, never any left! Hi Steve, This sounds delicious! Will definitely give it a try. One of my family’s favorite appetizer/snack also includes bacon and are very easy to make. Just wrap a 1/2 slice of bacon around a club cracker. Place on a baking sheet in 250 degree oven for 2 hours. All that wonderful bacon grease soaks into the crackers! (May be too much for some people so you can bake them on a rack on the baking sheet.) My daughter’s last name is Carter and she makes these so often that our family calls them Carter Crackers! Like your BLT dip,they include bacon-enough said! My favorite dip is onion made with Lipton’s Onion Soup mix. My favorite veggie dip is ranch. My favorite sweet/dessert dip is toffee dip….cream cheese, brown sugar and toffee bits. Yumm! My favorite dip is tuna pate. 2 cans solid white tuna, 2 blocks cream cheese, 1 small onion diced, 1 heaping tablespoon ketchup…mix together and serve with party breads or chips. This dip looks wonderful I know iam going to try it. Thanks for the great recipes, and just for the record we like bacon to. Pigs in a blanket are our favorite appetizer. Dipped in mustard. Yum! Dried beef mixed with cream cheese and scallions with crackers. My current favorite dip is a light ranch similar to Litehouse. My favorite dip is a homemade salsa that uses the Ball Canning Salsa Mix. A great thing to make when you have too many summer tomatoes to eat. You can freeze it or can it when tomatoes are in season. Very simple to make. Recipe is on the package. Shrimp ball consists of 1 can drained baby shrimp mixed with cream cheese and seasonings, then rolled in another drained can of baby shrimp. Served with zesty cocktail sauce poured over top, and favorite crackers. A favorite of all my friends. This dip sure looks yummy. I usually do the cream cheese with dried beef dip. I know, boring. Yummy looking dip! My favorite dip is sausage cheese dip and cheese straws! Steve, it sounds delicious & I look forward to making a batch! The pineapple cream cheese ball has been a favorite for many years. We added a Taco Dip a few years ago. I will try the BLT this weekend! Veggie tray with creamy ranch dip. There are generally so many sweets at gatherings that I feel like this balances things out a bit. I have two favorite dips – a crab and brie dip I got from a local restaurant and a spicy gumbo dip I got on another food blog. I’ve never heard of a dip with lettuce in it so I might have to try this. I’ll definitely be trying this recipe. Typically, my go-to dip for special events is a buffalo chicken dip. For everyday snacking, I enjoy whipping up a batch of guacamole. This dip looks delicious! I am looking forward to trying it. The addition of the lettuce intrigues me! One of my favorite dips is a spicy corn dip. Cream cheese, frozen corn, jalapeños, garlic….throw it all in the crockpot and serve it with some tortilla chips or Tostitos scoops! Yum!!! Our favorite go to dip is Liptons onion dip. Favorite appetizer is cream cheese stuffed, bacon wrapped mini peppers…yum! Spinach artichoke dip is my absolute favorite (but your BLT dip just might be a close second).